Merkur 37C Slant Bar, Heavy Dutty Double Edge Safety Razor. The slant head is designed to provide a closer shave compare to a conventional DE safety razor. Blade exposure is greatest and design imitates the cutting angle of a traditional straight razor. 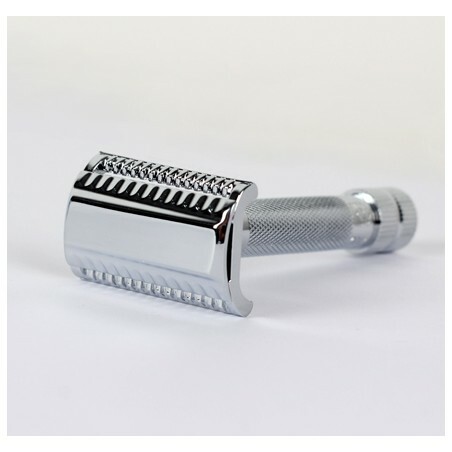 Razor is offered with a anti slip chrome HD handle. Recommended for sensitive skin as pressure needed during the shave is lower due to the greatest blade exposure. Also, recommended for thought beards. Please note that due to razor design and blade exposure we do not recommend this razors for beginners. 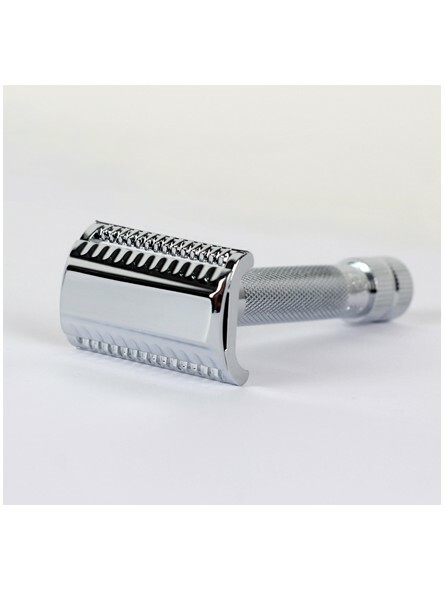 Experience is needed and very valuable to shave with this DE safety razor. Buena maquinilla, apura mucho y tiene muy buen agarre. Eso si, puede no ser la más adecuada como primera maquinilla. Conviene tener buena técnica y no apretar ni insistir demasiado. Mejor con cuchillas muy afiladas.